We are excited to kick off a new interview series with members of Forest Park Forever. 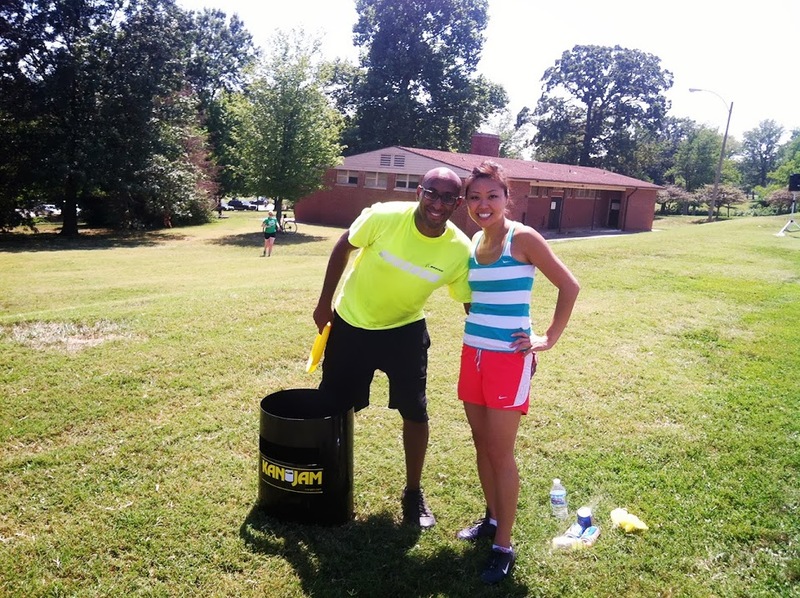 Today, meet Henok Tekle (above, left), who attended the very first Young Friends of Forest Park Forever Happy Hours in 2012 and became one of its first members. 1. Why did you become a Young Friends member of Forest Park Forever? It started from an email from my good friend [and Young Friends Board President] SiSi Beltran asking if I wanted to come to the first event. I enjoyed the first one and continued to come to other events. It was a natural progression to join after having a good time at the events and knowing that I was helping out a great cause. 2. What are Young Friends events like? They are a lot of fun! FPF has a variety of events — from happy hours to a kickball tournament on Central Fields — that appeal to a wide-ranging audience instead of traditional networking events that are more based on a specific industry. 3. Why would you encourage others to consider joining the Young Friends? I think its a great way to meet other young professionals and doesn't require a lot of investment in time. You also have a great feeling that you are contributing to something that brings happiness to a lot of people in St. Louis. 4. Do you have a favorite memory from Forest Park? It is hard to name one favorite memory, but a few that come in mind: 1) My dad teaching me how to drive; 2) Going to the Zoo and Science center for field trips as a kid; and 3) Having my graduation at the Muny. To join Henok as a member of the Young Friends of Forest Park Forever, visit our Membership page. Online sign-ups are easy and secure.